PESHAWAR: The Pakistan Medical Association (PMA) has moved an application in the Supreme Court of Pakistan, seeking a suo moto notice of the deaths of 22 newborn babies and one pregnant woman in hospitals of Khyber Pakhtunkhwa every day. Peshawar: The application has been moved by PMA president Dr Hussain Ahmad Haroon. He has requested the Chief Justice of Pakistan Justice Mian Saqib Nisar to take a suo moto notice of the serious issue. In the two-page application, the PMA president discussed and explained the present condition of the KP hospitals after introduction of the Medical Teachings Institutions Act by the Pakistan Tehreek-e-Insaf-led government in the province. However, he explained in the application that as per media reports based on government released data of the Basic Health Units, Regional Health Centres and District Headquarters Hospitals, 22 newborn babies and one pregnant woman die every day. However, he stated that this data is without the 10 teaching hospitals of the province and thousands maternity homes, and if right data is collected, the number would go much higher. As per the report submitted with the application, it was stated that 3,979 newborn babies from the first day up to one month time had died in the first 180 days of 2018. Besides, it said 178 pregnant women had also died in the hospitals during this period. The data is provided by the District Health Information System and collected from Rural Health Centers and labour rooms of tehsil and district government hospitals of the province. As per the report, 2259 children who died were suckling babies, not more than one month of age, and 1720 babies died immediately after the death. It said that 560 babies died in Bannu hospitals, 506 in Haripur, 226 in Swat and 110 in Kohat. Similarly, it said 178 pregnant women had died in the hospitals, including 31 in Nowshera, 15 in Abbottabad, 20 in Mansehra and 21in Dera Ismail Khan hospitals. 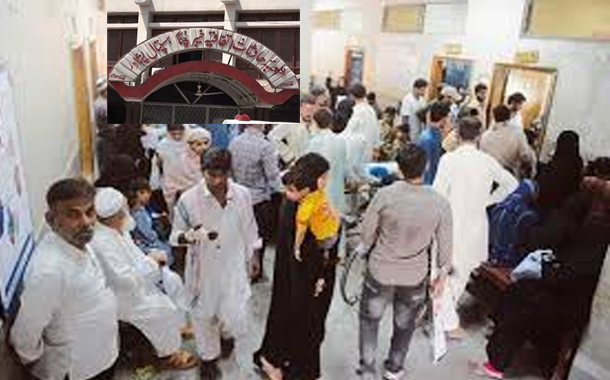 The PMA president also pointed out before the Chief Justice of Pakistan that there is no ICU Ventilator in District Headquarters Hospitals of the province and many patients died during operations due to non-availability of ICU Ventilators. Besides, he stated in the application that the ICU Ventilators were also not available in the private hospitals of the province except a few. However, he pointed out that legally no surgery can be conducted in a hospital where there is no ventilator facility. It was stated in the application that the present PTI government through MTI law had given a status of private hospitals to majority hospitals of the province and are being through Board of Governors (BoG). The applicant said that first their members were selected from government departments in BoG, and now no member is being elected from government departments including health department. It was also stated that the condition of government hospitals is worsening day by day. He said that people are dying in hospitals and the government did not take measures in this regard. The PMA president said that death ratio of newborn babies in KP is more than Thar area of Sindh and requested the CJP to take suo moto notice of these deaths. Why Does Pakistan Need Student Unions?